I had the pleasure of getting to know Elana Amsterdam a few years ago after reviewing her cookbook, The Gluten-Free Almond Flour Cookbook. This past week I had the pleasure of indulging myself with excitement in her latest book, Paleo Cooking from Elana Amsterdam. Elana is not new to the subject of cooking grain free, low glycemic or towards her interest in healthy, fortifying meals. She was on top of this subject of “grain-free” well before many. In this new cookbook Elana opens up a bit more about her personal life, sharing her evolution towards a grain-free diet, better known as paleo. I felt up close and personal with her. As a result of this personal introduction I read her kitchen tips and pantry advice with a feeling that my “friend” is guiding me, sharing with me and sincerely cares. I have been cooking and baking grain free for a few years now. 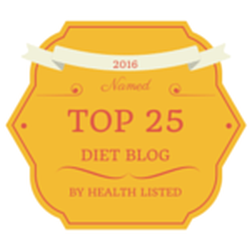 I feel that those new and old to this subject of Paleo are a team. We are all here to help one another in the kitchen and we do. Elana recognizes this and she openly shares names of those that have inspired her. The many recipes she reveals in her paleo cookbook are quite simple to prepare and do not require hard to locate ingredients, and do not have a long list of required steps. Pretty simple recipes yet all incredibly tasty! This makes for an extremely versatile and user friendly recipe cookbook, not to mention an ideal cookbook for those busy moms, working men and women and anyone new to cooking grain-free. This book has recipes for delicious breakfasts, entrees, treats and baked goods with a host of full-page, full-color pictures. The pictures speak for themselves. I highly recommend this new cookbook to anyone wanting to get some paleo recipe basics in their life. Overall this cookbook is for anyone who loves delicious food and who cares about their health or those they cook for. This book is a gem and will no doubt be a kitchen success. 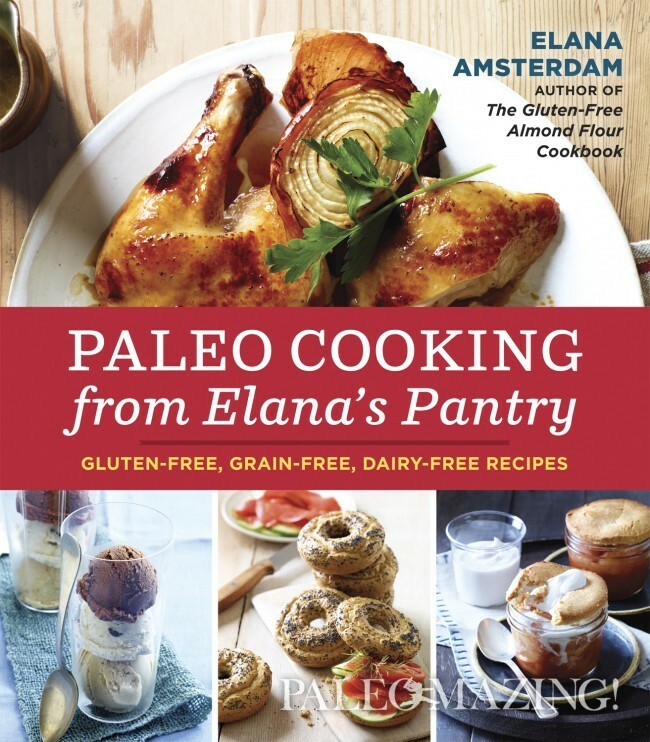 Paleo Cooking from Elana’s Pantry, by Elana Amsterdam and published by 10 Speed Press, Berkley will be available wherever books are sold on June 18, 2013. Please check this out on Amazon now. Reprinted with permission from Paleo Cooking from Elana’s Pantry: Gluten-Free, Grain-Free, Dairy-Free Recipes by Elana Amsterdam (Ten Speed Press, 2013). Photo Credit: Leigh Beisch.